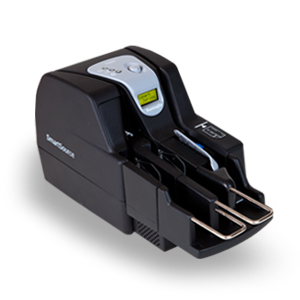 The Panini I:Deal check scanner is a breakthrough solution designed specifically for the remote deposit capture (RDC) needs of small businesses. Incorporating the industry-leading reliability, quality and performance customers expect from Panini, the I:Deal check scanner features unparalleled affordability combined with the best in total quality. The conception and design of the Panini I:Deal is based on extensive market research to identify the specific and unique requirements of small business remote deposit capture users. Small business users, financial institutions, and Panini partners directly contributed to the design and development of this breakthrough check capture solution. The result is a user-friendly check scanner that helps small businesses seize the benefits of Check 21. 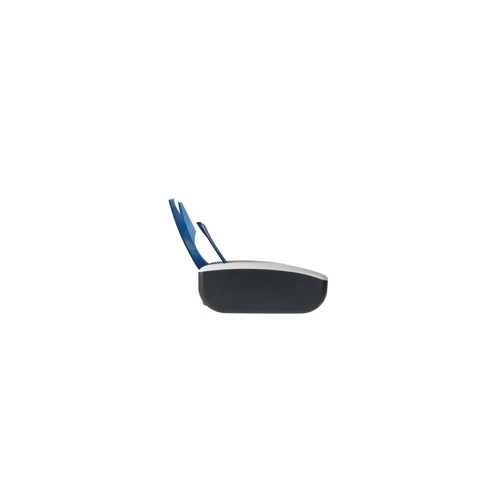 Consistent with Panini tradition, the Panini I:Deal is unique in terms of visual appeal, fitting naturally and comfortably into any office or SOHO environment. 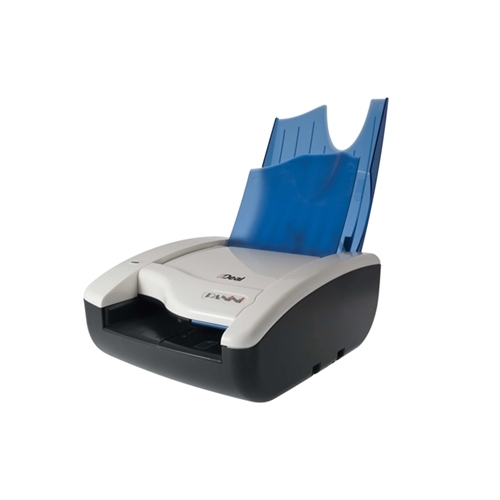 With careful attention to an intuitive and ergonomic design, the Panini I:Deal solution readily anticipates and accommodates users lacking familiarity with check capture and check processing. With the support of an unparalleled customer base throughout the world, and the broadest reach of technology partners, Panini is well established as the market leader in distributed check capture. The Panini I:Deal relies on and leverages this position while integrating the technical innovation and open architecture of the market-leading Vision X product suite. Physical dimensions 3.2 x 6.6 x 4.17"
The Panini I:Deal is a breakthrough product that provides a compelling check capture solution designed specifically for low volume remote deposit capture (RDC). 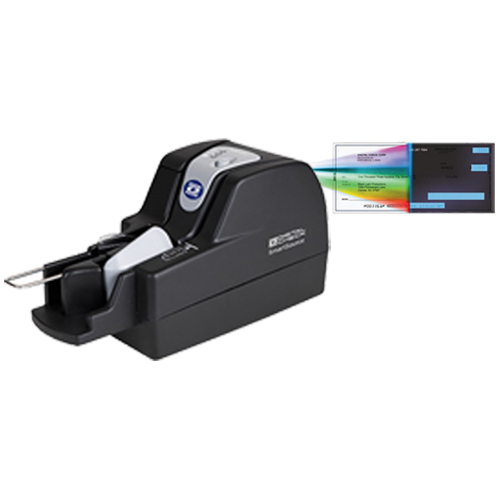 This check scanner features affordable cost of ownership combined with best total quality, consistent with the industry-leading performance and reliability customers expect from Panini. 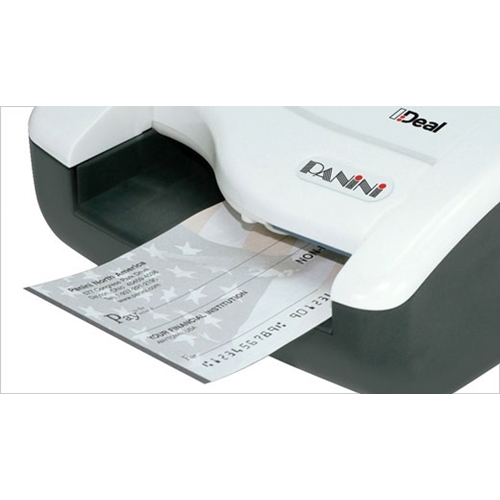 The Panini I:Deal utilizes patented technologies to deliver capabilities critical for RDC success, including high-quality dual-sided image capture, document franking, and advanced reading technologies in the areas of MICR and OCR. 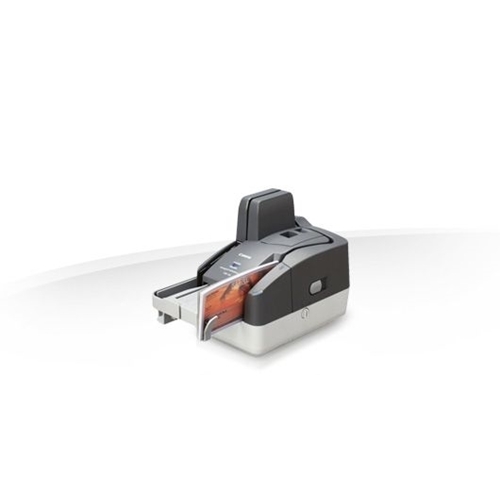 A pocketing capability minimizes paper handling, providing document storage while ensuring transaction sequence integrity. 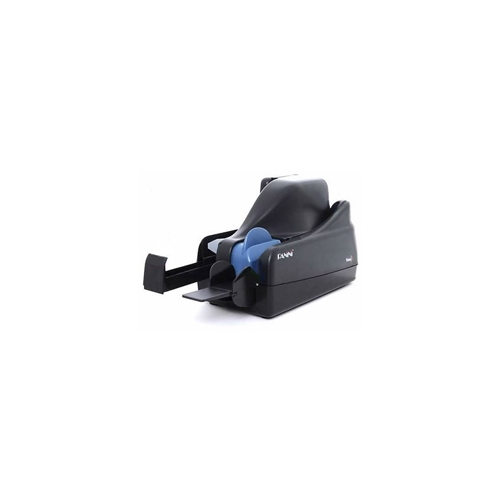 Through self-adjusting capabilities, the Panini I:Deal provides an optimal user experience in the wide variety of environmental conditions encountered in small business RDC implementations. The Panini I:Deal is also compatible with Apple Macintosh operating systems.